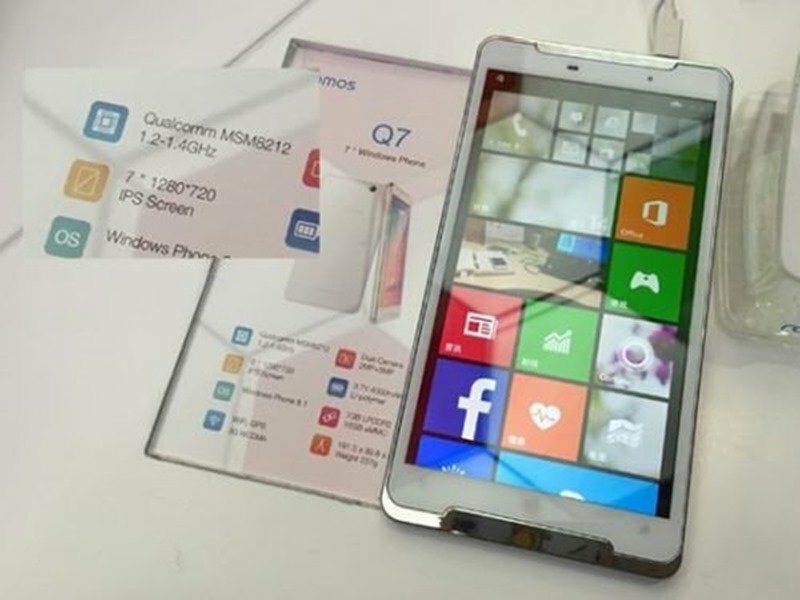 Ramos Q7 is one of the affordable 7 inch Windows 8.1 Phablet limited for sale in China. Windows Phablet are getting quick popularity and now the local OEM too are offering Windows 8.1 phablet. Windows is the third most popular mobile operating system after Apple’s iOS and Google’s Android. Ramos based in Shenzhen, China has unveiled Windows Phablet named as Q7 and it offers ideal specifications for a phablet. Ramos Q7 is targeted towards budget conscious buyers with Windows on it. Ramos Q7 should be considered since it provides better battery life. It’s said to launch in China without no details on outside world availability is known.